Orienteering and Code: what the link? 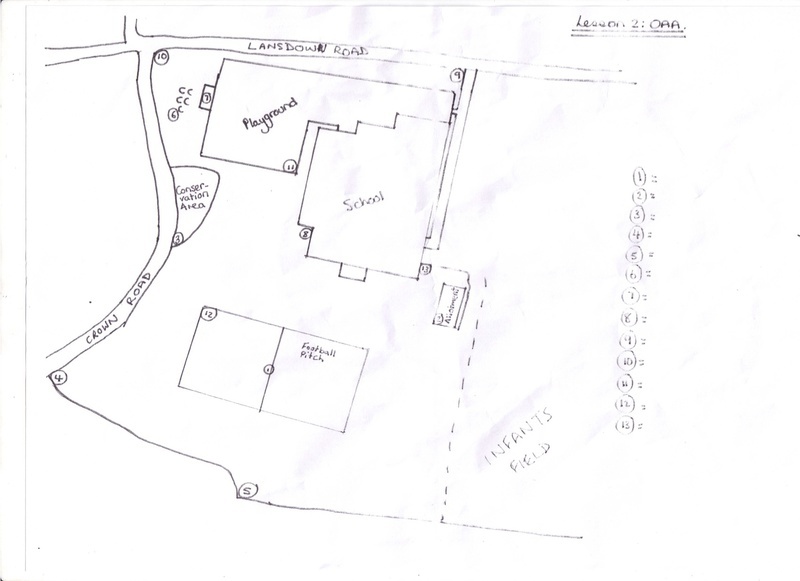 The children use a map of the area they are in to find and locate different cones/flags/markers. These all have a ‘letter ‘ (alphabet) attached which can they note down to make a message at the end. A Great way to introduce map skills and team building. First of all, a map needs to be drawn of the area that you wish to use. A photo of the map we used is shown. I have found that using the satellite photos on Google Maps can be useful to draw the outline of the area and then add the smaller detail on to this. The letters need to be written down on paper and attached to the inside of the cones (we stuck them on with sellotape). The children will simply turn these over to find out the letter and mark this on their map. These cones need to be placed carefully in the area as per the location on map. (I asked a TA to get this part ready- cones have ‘mysteriously’ moved over the playtime/lunchtime in previous years. Give the children time in class to look at the map. It was amazing how many children couldn’t match up the map to the area they were in. Helping hints if needed- Where is ______ (landmark) on the map? Set the different groups off but make sure you start them at different points. E.g.- Group one could work through even numbers then odd. Group 2 odd numbers, then even. Group 3 start at number 7 and work forwards. Group 4 start at number 6 and work backwards. This will mean that the groups don’t follow each other around. Once the children have completed the task they are to come back and read the message to you. To prevent the children from guessing parts of the message/ shouting out what the message is, the code creator (photo above) can be used. When the children get back to class you can tell them the key to the code e.g. 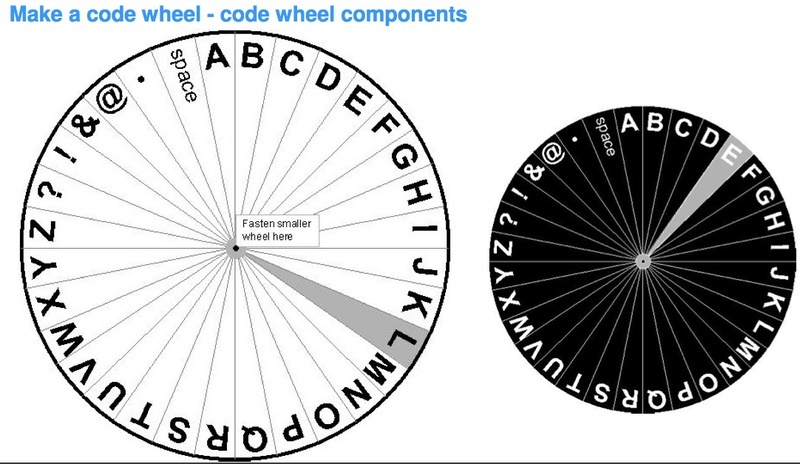 E = H, and then they can use the code wheels to crack the code and read the message! The message could also be the location of the finish point.